This chapter describes mefloquine, pyronaridine, halofantrine, piperaquine and lumefantrine under the broader title of the 4-methanolquinolines, amyl alcohols and phentathrenes. We provide a brief resume of each drug, in terms of their chemical properties, formulae, pharmacokinetics, clinical indications for use, and their efficacy and safety. 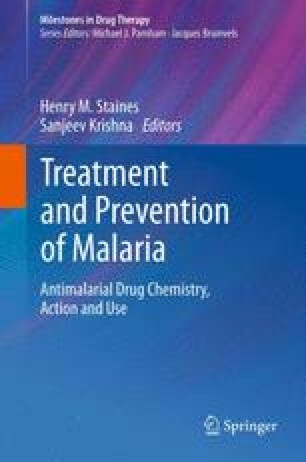 Recognizing the limited number of antimalarials available, and in the developmental pipeline, attention is focussed on describing the history of each drug and how their indications have evolved as data on safety in human populations accumulates over time, and how patterns of use have changed with growing multiple drug resistance. Their combined use with the artemisinin derivatives is briefly described and readers are recommended to consult other chapters in this book which more fully describe such combinations.